If you're training with intensity on a regular basis, chasing some serious fitness goals, or otherwise hoping to improve your performance in the gym, adding some supplements into your routine might be a good idea. For whatever reason, I feel like most women are either intimidated or simply unaware of the world of supplements, and are unsure where to even begin with it all (Creatine? Protein? Poutine? Maybelline? What? ), and for good reason- it can be very overwhelming! So I just wanted to offer inquiring minds a little write up of the supplements that I think are worth trying out. It should be noted though, that this post comes along with a huge disclaimer! Supplements are designed to be just that: supplemental. So be sure you're giving your body a good balance of macro and micro nutrients on the reg, and recovering and caring for yourself properly. It should also be noted that you do not have to take supplements at all to be a fit and healthy woman! Plenty big time athletes forgo them entirely, and not every body responds to everything the same way (read: what works for me may not work for you, and vice versa). And duh, consult with your doc first to be sure it's a smart and safe move for you. Creatine is probably the most common supplement for most gym rats and performance chasers. It's a naturally occurring amino acid found in the human body that helps to create a substance called adenosine triphosphate, or ATP. ATP is the thing that provides the energy for your muscle contractions. Your body creates creatine but it also absorbs it from protein rich foods like meat and fish (game meat, lean red meat, salmon and tuna are the best sources). Creatine might also be the most studied supplement out there, and most studies have shown that it can significantly help to increase muscular performance and power for most people, and especially so for high intensity and short-duration exercise (CrossFit & weightlifting generally fit into that category). It hasn't been proven to much for more endurance-type exercise. On training days I split my creatine dose into my pre and post workout drinks, and on rest days I put the whole dose into a protein shake. Creatine should be taken on both resting and training days to keep the level in your body steady, and the dose is generally around 5g a day. 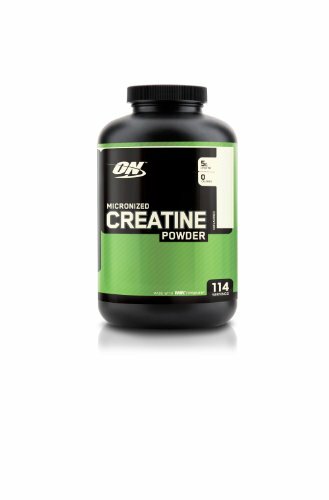 When shopping for creatine powder, look for one that lists only creatine monohydrate as the sole ingredient. Optimum Nutrition makes a simple and straight forward one. You'll also see a lot of products that are a hybrid of creatine and another supp, and Blonyx makes one that I think is worth exploring with their Creatine + HMB! (They also have a great breakdown of the science on their site that's worth checking out). I have also been taking Blonyx's HMB Sport alone and been enjoying it so far. BA is also another naturally occurring amino acid that impacts muscular endurance and performance, namely by fighting muscle fatigue due to acid build up. The idea is that if it can help you get 2 more reps or go 30 more seconds without a rest, then your muscles will get that much stronger over time. BA is also a pretty popular and commonly used supplement, and is usually consumed in conjunction with creatine to help push that muscular endurance to the limit. And, similarly to creatine, BA is most efficient with shot term, high intensity exercise. Read all about beta-alanine and it's impact on our bodies here. Much like creatine, BA has been a staple in my supplement pantry for years. It should be taken on both training and off days to keep your body's level steady, and when training I split my dose into my pre and post drinks. It'll probably give your skin a tingly sensation when you start taking it, but this is totally normal and will dissipate with time! I've tried quite a few different brands of BA and have found myself really loving Blonyx's version lately, as it's squeaky clean and super high quality. Highly recommend! 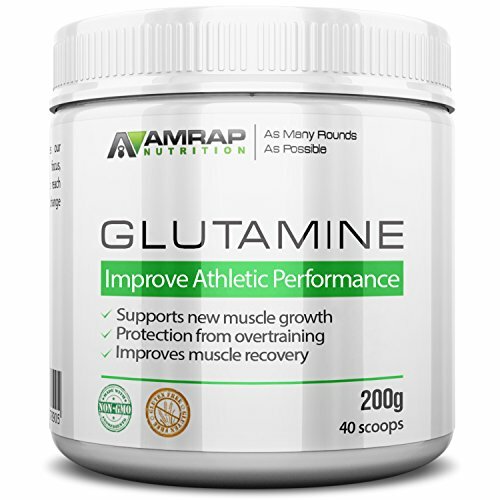 Yet another amino acid, glutamine is actually the most abundant amino acid in the human body and is stored in muscles. Our bodies create it but we may need more that we can create when under extreme stress (like exercise). "Studies have shown that L-Glutamine supplementation can minimize breakdown of muscle and improve protein metabolism. Glutamine plays key roles in protein metabolism, cell volumizing, and anti-catabolism. Glutamine also increases your ability to secrete Human Growth Hormone, which helps metabolize body fat and support new muscle growth." (via bodybuilding.com) Glutamine also plays an interesting role in our body's immune system and is thought to help reduce intestinal permeability, protect the lining of the gastrointestinal tract, and improve gut health. Due to my personal struggles with leaky gut, and my propensity towards high intensity exercise, I opt to add powdered glutamine to my post workout shake on training days. Another product you've probably seen a lot of are powdered mixes that call themselves "pre workout" drinks. The quality and ingredients of these mixes can range hugely, so be sure you read all of your labels! (Some of them contain creatine and BA already, so again, read your labels). Pre workouts are just designed to give you a boost of energy before your workout, and some even contain caffeine. Some pre workouts contain a mix of BCAAs (branch chain amino acids), and that's what I tend to drink as part of my routine. BCAAs stimulate protein synthesis, both by increasing the rate of protein synthesis and your cell's capacity for protein synthesis. (Read more about it here). Equip Foods makes a clean and tasty pre workout mix that contains amino acid mix that's also squeaky clean. Though real food will always be a better option than a shake or supplement, it's always a good idea to have a bag of protein powder in your pantry so you've got an alternative in case you're running low of the real deal, or need something you can drink on-the-go. If you're training hard, protein is an essential part of your diet, and shakes can be an easy and great way to get those extra grams of protein in right after a workout or in place of (or in addition to) a meal. I personally am faithful to only one brand of protein, both for it's taste, ingredients, and the quality of the company behind it: Equip Foods. 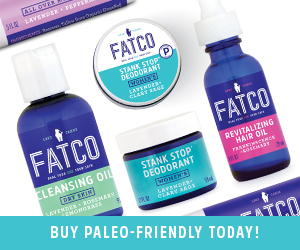 (Psst enter discount code SHETHRIVES at checkout). Magnesium is a mineral that is crucial to TONS of stuff in that body of yours. "Magnesium plays a number of roles in the body, being required for more than 325 enzymatic reactions, including those involved in the synthesis of fat, protein and nucleic acids, neurological activity, muscular contraction and relaxation, cardiac activity and bone metabolism." (via bodybuilding.com). Again, while whole foods sources are always better than a supplement, it can be too easy to fall deficient in this valuable mineral. It's for that reason that I end every single day with powdered magnesium mixed with warm water. Some people swear this elixir is fantastic for getting into that pre-bedtime sleepy mood, as it has calming and relaxing properties. I use Natural Vitality's unflavored powder and love it! Another way to get your magnesium in is with a soak in a long, hot Epsom Salt bath! It's a favorite way of mine to relax and help sore muscles recover and heal. Curcumin is the main active ingredient in turmeric, which we all know by now is a powerful source of anti inflammatory antioxidants. Curcumin helps your body repair damage (sore muscles) among other things, and therefore I love to include it as part of my workout recovery lineup. Wishing you all strong muscles and improved work capacity!